It’s been a big year for Shinedown, between the Florida hard rock band releasing a new album, “ATTENTION ATTENTION,” and going on a major North American tour with Godsmack and Like A Storm. Now, the Shinedown crew has announced a batch of new tour dates taking them into 2019. Shinedown’s just-announced 2019 tour will have them hitting the road with Papa Roach and Asking Alexandria on Feb. 20 in Estero, Florida. The tour, dubbed part of the band’s ATTENTION ATTENTION World Tour, is slated to close out March 20 in Loveland, Colorado. Along the way, they’ll visit Dayton, Ft. Wayne, Milwaukee, Knoxville, Green Bay, Minneapolis, Fargo and St. Louis, among others. Check out the tour roster below. For ticket information, visit Shinedown.com. 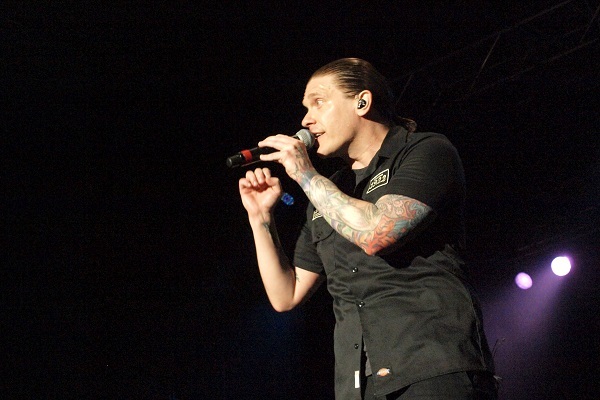 “ATTENTION ATTENTION,” the new album from Shinedown, debuted at No. 1 on the Billboard Alternative, Top Rock and Hard Rock Albums Charts and No. 3 on the Billboard Top 200 Albums Chart earlier this year. Read Audio Ink Radio’s review of the album here.